If you play New Zealand Powerball you will instantly have a decision to make when entering the game, that being whether to add a Powerball to your line of numbers. The decision to add said Powerball could be worth millions! 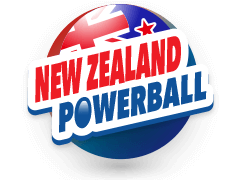 Should you decide to play New Zealand Powerball you must first select 6 numbers from a guess range of 1 and 40 for the main draw, this is slight variation on the usual 1 to 49. Your next decision is whether to add a Powerball to the line, this number has to be between 1 and 10. The main draw takes place first and substantial prizes can be won on the main draw alone. Indeed if you play New Zealand Powerball and land the jackpot in the main draw it will be worth a minimum of NZ $4 million even without the massive boost that can occur with the addition of the Powerball. However the ultimate dream is to land the jackpot in the main draw then correctly predict the Powerball in the draw that immediately follows. This rare feat can lead the player to an astonishing jackpot of up to NZ $30 million. If you play New Zealand Powerball you should be aware lesser prizes are also boosted if the Powerball is correctly selected on the same line.